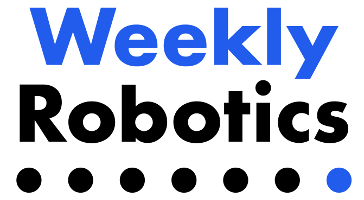 Weekly Robotics Newsletter | Go, Robots! 0) DJI plane wing collision video called out as misleading. INFO: Back in issue 8 we included a video of a DJI Phantom 2 hitting an aircraft wing. The linked article contains an open letter from DJI who accuse researchers of, among other things, making unrealistic assumptions and including very little description of testing methodology. 1) What Comes After the Roomba? INFO: This piece by the New York Times discusses the future of home robotics. 16 years after iRobot Roomba was introduced to the market it seems that we didn’t move to anything past a vacuum cleaner when it comes to home robotics (at least when high adoption is concerned). 2) Robomaster Robotics Competition 2019. INFO: The registration for Robomaster Robotics Competition is open with a registration deadline 31/10/2018 for Chinese teams and 16/11/2018 for teams from other regions. In this edition the teams will build various kinds of robots (mobile robots, drones and sentry bots) capable of shooting projectiles. The total prize pool is said to be 600,000$. 3) Nyble - Open Source Quadruped Cat Robot. INFO: The cat is based on an laser cut frame and according to the description in the link it’s powered by an Atmega328P. In total there are 11 servos on the frame (4 for each leg, and 3 for head assembly). When it comes to sensing the main board contains a 6-axis IMU and there is an ultrasonic distance sensor embedded in the head assembly. 4) Ubiquity Robotics ROS Raspberry Pi Images. INFO: Ubiquity Robotics shares a set of SD card images for Raspberry Pi 3 that are pre-loaded with ROS, saving you time needed for setting up a system from scratch. 5) Single Board Computer Database. INFO: This searchable database contains information on 270 single board computers. There are multiple filters you can apply to search criteria such as CPU speed, RAM, physical dimensions, network interfaces, price, hardware interfaces etc. 6) NASA’s Hubble Telescope Recovers after gyro failure. INFO: Earlier this month NASA’s Hubble telescope experienced a gyro failure that resulted in gyro indicating rotation rates higher than expected by orders of magnitude. The gyros on Hubble rotate at constant speed of 19,200 RPM. The gyro wheel is suspended in a sealed cylinder filled with thick fluid and the electronics within the gyro detect small changes of the axis of the wheel. Our recommendation is to read the reports starting with the oldest one at the bottom of the page. 7) Paper of the week - Probabilistic Kinematic State Estimation for Motion Planning of Planetary Rovers (2018). INFO: This paper introduces p-ACE, a probabilistic variant of ACE (Approximate Clearance Evaluation) algorithm used for kinematic collision detection used for path-planners for planetary rovers. ACE allows estimating the worst case configuration associated with wheel heights that could make the rover stuck, while p-ACE is calculating probability distribution in real time and, according to authors, assuming less pessimistic worst-case configurations that are still safe for the rover. INFO: Festo engineers developed a flying fox UAV. With a wingpsan of 228 cm (90 inch) and length of 87 cm (34 inch) the robot weights only 580 g (1.3 lbs). Thanks to integration with external motion capture system the robot can fly semi-autonomously. The flying membrane is made of two airtight films and a knitted elastene fabric, which are welded at approximately 45,000 points. INFO: Earlier this year, during 2018 Olympic Games in Korea robots took to the slopes. According to zdnet article 8 teams took part of the competition and the winning robot took 20 seconds to complete the slalom. INFO: Researchers at Florida Atlantic University created a free-swimming soft robotics jellyfish. The hackaday article is full of technical information about the project and additionally includes a video showing the jellyfish in action. 4) List of 7 online robotics courses. INFO: The list contains links to 7 robotics related courses available on Coursera, edX and Udemy. 5) Cost of Highly Safety Critical Software. INFO: This short blog post by Phil Koopan talks about the cost of aircraft safety critical software. Worth noting is the graph discussed in the post. We can learn from it that the life-critical software engineer’s output can vary between 3-12 lines of code per day. 6) Manned amateur space program. INFO: Copenhagen Suborbitals is a Danish association striving for creating an amateur manned space program. The group consists of around 60 unpaid volunteers creating rockets in their workshop. The rocket launches happen at a military firing practice area on the Baltic sea. The project is fully crowdsourced, if you are interested you can donate to the project by going to the support page. 7) Paper of the week - Dexterous Manipulation with Reinforcement Learning: Efficient, General, and Low-Cost (2018). INFO: The presented article presents results on using Reinforcement Learning for teaching robot hands to perform dexterous tasks. Depending on methods and the hardware used the learning of valve turning task (rotating a valve by 180 degrees) took between 3 to 9 hours to complete. 1) ZOA Robotics (London, UK) - Senior Hardware Engineer. INFO: ZOA Robotics creates affordable robots inspired by nature. 2) Sunflower Labs (Zurich, Switzerland) - Various Positions. INFO: Sunflower Labs are building consumer products to design insightful home security. 3) Iris Automation (San Francisco or Reno-Tahoe, US) - Various Positions. INFO: Iris Automation creates collision avoidance systems for drones. 1) Researchers develop 3D printed objects that can track their own use. INFO: Researchers at the University of Washington use antennas to reflect a wi-fi signal in order to record the movement of 3D printed tools. No batteries required! 2) Tanzania tests over-water delivery of medicines by drone. INFO: Tanzania, together with DHL and Wingcopter has completed a six month trials, delivering medicine over a distance of 60 km (37 mi). During trials the aircraft made over 160 proving flights. Wingcopter is a hybrid aircraft (can take off like a multirotor, and transition to forward flight like a fixed wing plane) with capabilities of lifting payload of up to 6 kg (13 lbs) and according to manufacturer’s website the drone can achieve a speed of 240 km/h (149 mph) during forward flight. 3) ROSCon 2018 videos and slides. INFO: If you missed ROSCon 2018 the videos and slides were just made available at the link above. 4) SpaceX successfully landed its Falcon 9 rocket on the California coast for the first time. INFO: SpaceX managed to sucessfully land the Falcon rocket on a ground for the 12th time. The objective of the mission was to take Argentina’s space agency SAOCOM 1A satelltie to the orbit. 5) Boston Dynamics Atlas doing parkour. INFO: According to the description in the video the robot is using the whole body including legs, arms and torso to jump over a log and leap up the steps. 6) Jumping Robot Salto-1P Now Goes Where You Tell It To. INFO: UC Berkley’s Salto 1-P (a pogo stick robot) can control leg angle and retraction in order to allow reaching a desired points on the ground. There is a motion capture system in the loop allowing for precise robot tracking and making it hope on a target that changes position. 7) Paper of the week - Paparazzi’s Guidance Vector Field Navigation (2017). INFO: The above webpage (and 3 papers mentioned in the introduction) presents an introduction to Guidance Vector Field algorithm available for Paparazzi UAV (an open source drone autopilot). The approach for navigation in the presented article is to follow smooth curves while navigating (traditionally most of the autopilots use waypoints) and generating vector fields. The gifs presented are a very good way of building intuition on how vector fields work. 1) What happens when a drone hits an airplane wing? INFO: This video shows the damage the DJI Phantom 2 could cause to an aircraft wing at 230 MPH (370 KM/H). Bruce Simpson from XJet YouTube channel commented on this research in his latest video. UPDATE: The video linked above caused quite a lot of controversy in the drone world. You can find more information about supposed flaws in the research carried out in this article drone life. INFO: The Soft Robotics Toolkit is a collection of shared resources to support the design, fabrication, modeling, characterization, and control of soft robotic devices. The video on the home page is a great summary of everything the toolkit provides. Open Source soft actuators? Sign me up! 3) nuScenes self-driving car dataset. INFO: nuScenes is a large scale dataset released by nuTonomy-Aptiv. At present you can download a set of 100 scenes, each 20 seconds long and contains information from 6 cameras, 1 LIDAR, 5 radars, GPS and IMU. All the data is annotated with bonding boxes. NuScenes promises that the final dataset containing 1000 scenes will be available for download in early 2019. 4) Microsoft Announces Experimental Release of ROS for Windows 10. INFO: Robot Operating System is coming to Windows. At ROS Con 2018 Microsoft showcased a Turtlebot 3 running ROS Melodic on Windows 10. The reason this can be a big news is that it can rapidly accelerate adoption of ROS, which so far was tied heavily to Linux. If you want to find more information on ROS on Windows then the project page is probably the best place to start. We will keep an eye on this project and report back! INFO: Blimpduino is an open source blimp platform. You can attach it to any balloon provided it can lift the 33g robot. The control board is based on ARM M0 chip (you can program it using Arduino IDE). Onboard you will also find an IMU (MPU9250), LIDAR sensor (up to 5m range) for height hold, WiFi chip and an embedded LiPo charger. The webpage above links to a jjrobots store where you can purchase the development kit for 99 USD (85 EUR). 6) Rethink Robotics closes down. INFO: Rethink Robotics, a manufacturer of Baxter and Sawyer robots closed down this week. According to the article the company raised $150 million up to date. 7) Paper of the week - CARLA: An Open Urban Driving Simulator (2017). INFO: CARLA (Car Learning to Act) is an open source driving simulator for autonomous driving research. The paper discusses the idea behind CARLA, the simulation engine (implemented on top of Unreal 4) and autonomous driving experiments (Modular Pipeline, Imitation Learning and Reinforced Learning). For more information about CARLA visit the project page. 1) Zoox (Foster City, CA, US) - Various Positions. INFO: Zoox was founded to create the full realization of autonomous mobility. 2) Starsky Robotics (San Francisco, CA, US) - Various Positions. INFO: Starsky Robotics is working to make trucks autonomous on the highway and remote controlled by drivers for the first and last mile. 3) Spyce (Boston, MA, US) - Various Positions. INFO: At Spyce, we’ve created the world’s first restaurant featuring a robotic kitchen that cooks complex meals. 4) Saildrone (Alameda, CA, US) - Various Positions. INFO: Saildrone designs and manufactures wind and solar-powered autonomous surface vehicles called Saildrones.